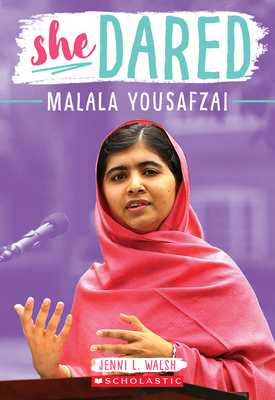 Learn about Malala's incredible recovery and her journey to becoming a world-famous advocate of girls' rights and education -- and the youngest-ever Nobel Prize winner. This highly accessible and narrative biography includes full-color photos and educational info! Jenni L. Walsh's passion lies in transporting readers to another world, be it in historical or contemporary settings. She is a proud graduate of Villanova University, and lives in the Philadelphia suburbs with her husband, daughter, son, and newfypoo. She also writes historical fiction for adults and children. Learn more about Jenni and her books at jennilwalsh.com.